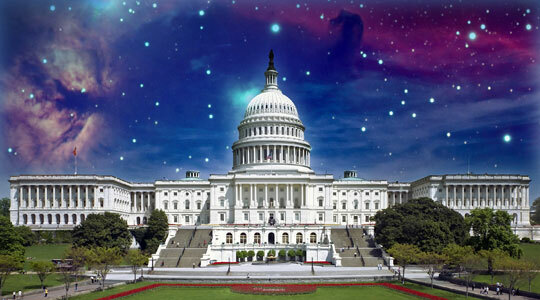 Members of SETI (Search for ExtraTerrestrial Intelligence) appeared before Congress testifying that extraterrestrial life is “plausible and warrants scientific inquiry.” SETI astronomers stated that “aliens are most definitely out there.” We just lack proof. The SETI Institute was established on November 20, 1984, in California as a non-profit research institute. The mission: Search for life in the universe. The institute monitors satellites pointed toward the sky hoping to capture some form of intelligence life. None have appeared. SETI can only scan a small portion of the universe. Unfortunately, the area is very, very small. That correlates to the very, very small chance of SETI capturing any recordings. But SETI persevere. And they should. Within the last few years, scientists have identified several Earth-like planets in the universe. These are planets similar to Earth’s constitution and would be ideal to sustain life. Researchers argue that these Earth-like should be able to sustain life—in some form. Further, the existence of microbial life is “close to 100%.” Those are great odds. Just as former President Bill Clinton recently commented, the SETI researchers feel that Earth is not unique. Nor alone. They also feel proof will arrive within the next 20 years, provided funding levels continue. Should Congress continue to fund SETI? You bet! Congress should also continue to support—and fund—NASA. I am with the 35% who believe that extraterrestrial life exists. Searching for that life is our natural evolution.